This isn't a great time to be running a table-service restaurant. Consumers are clamoring for the convenience and lower prices of fast casual, and it isn't a surprise to see once-iconic casual-dining chains either closing down stores or cashing out for pennies on the dollar. Chili's Grill & Bar is one of the largest casual-dining chains to be thriving in this environment. Parent company Brinker International (EAT) has been able to position the home of sizzling fajitas and infectious baby-back ribs jingles for success. Brinker is coming off another strong quarter with sales, comparable-restaurant sales growth, and earnings moving higher since the prior year's comparable quarter. Why is Chili's succeeding at a time when many of its peers are hurting for business? 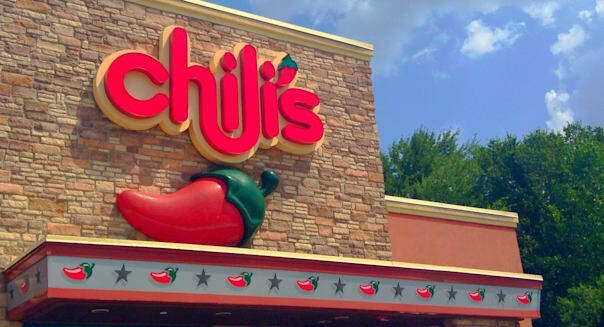 Let's explore some of the reasons the 1,580-unit Chili's chain is as hot as its pepper mascot. Chili's became one of the first major chains to install tablets at every table, allowing guests to order apps and drink refills, and to pay up at the end of the meal. Kiosk tablets also offer games to entertain the hungry as they wait for their grub. It's not a coincidence that Chili's has continued to outperform the industry since rolling out the tablets more than a year ago. Customers can be wooed by a gallery of add-on menu items, and they can also cash out quicker to free up a table for waiting guests. It's getting more expensive to eat out, particularly at fast-food and fast-casual chains that are passing on higher labor and food costs to customers. Even the mighty Chipotle Mexican Grill (CMG) last year pushed out its largest menu increase in three years last year, and another uptick on select items is likely in the coming months. Chili's has been able to take more calculated steps without abandoning its paired menu discount offerings. "We do see many of our competitors taking larger price increases and we believe that with our strong value ratings, we have room to take additional pricing," Brinker conceded during its recent quarterly conference call. However, Chili's is eyeing an increase of roughly 1 percent next month. Patrons should barely notice it. It's not just tablets that are keeping Brinker on the leading edge of casual-dining technology. Chili's is in the process of rolling out a new loyalty rewards program, and having tablets at every table will make it easier to sign folks up and allow them to use reward points to pay down purchases. The next step up at Chili's will come in July, when folks will be able to use their phones to save their place in line before even getting to the restaurant. Chili's is teaming up with the NoWait mobile app that offers current wait times of participating restaurants with the ability to join the queue. It's a step up from the rival chains that make you either go in or call in to put your name on the waiting list. There are plenty of decadent dishes at Chili's, and folks interested in indulgent queso dips, molten lava cakes, and saucy ribs know that they can get their fix at their neighborhood location. However, Chili's has also been smart enough to expand its lighter fare. The Fresh Mex and Fresh Tex lines continue to grow with healthier options, including the additions earlier this year of Ancho Chili Salmon and Grilled Avocado Sirloin. At a time when many restaurant operators are trying to offset weakness at their flagship concepts by acquiring smaller eateries, Brinker has been going the other way. Brinker sold off Corner Bakery, On the Border and Macaroni Grill in 2006, 2010 and 2013, respectively. It's mostly Chili's these days at Brinker, going along with the smaller Maggiano's Little Italy family-style dining concept. It does mean putting more of its eggs in the Chili's basket, but it's also paying off with the key restaurant performing so well. Chili's is on a roll. It's working on its fourth consecutive year of positive comps, and that's a pretty meaty achievement given the trends working against the casual-dining market. It's been doing the right things, and it seems bent on continuing to lead the way through technology, pricing, and menu mix initiatives -- all of which should be a boon to its customers.